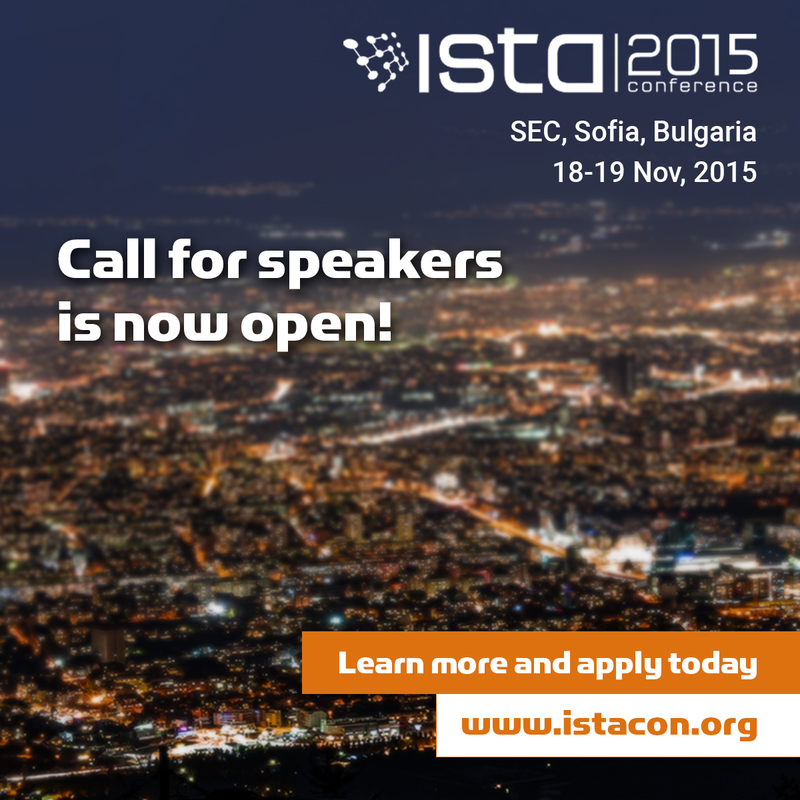 More topics and new technologies in ISTA Con 2015 – call for speakers is now open! On the 18th and 19th of November in Sofia Event Center (SEC) in Mall Paradise, Sofia will be held the 5th edition of the premier forum for software engineers in Central & Eastern Europe – The Innovation in Software Technologies and Automation Conference (ISTA Con) 2015. The conference is organized by five of the biggest IT companies in Bulgaria – SAP Labs Bulgaria, Infragistics, VMware, Musala Soft and Experian. The event is all about sharing knowledge, networking, presenting innovative aspects of the field… and having fun while doing so. With each new edition ISTA Con attracts new attendees and this year the organizers are planning to host more than 750 leading IT professionals, software developers, quality engineers and prominent industry speakers. The call for speakers for this year’s edition is now open. Papers and suggestions for session topics can be submitted until the 30th of June. The topics could be from all fields of software development, including, but not limited to: platforms for cloud technologies development, mobile systems, quality assurance and automation, security systems, agile methodologies for software development, DevOps and others.